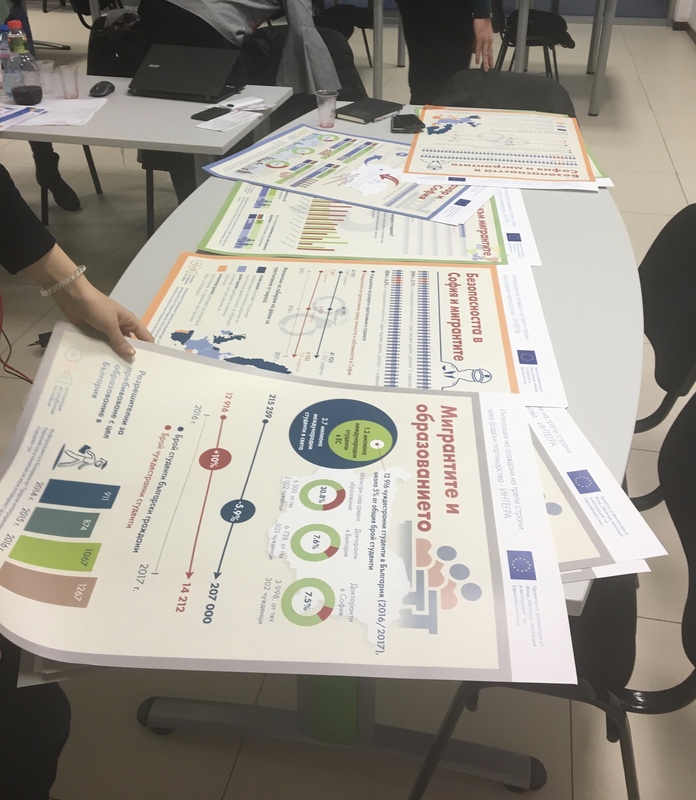 Sofia Development Association presented and distributed the INTEGRA project infographic posters to the members of the national Working Group on Integration on January 28, 2018. 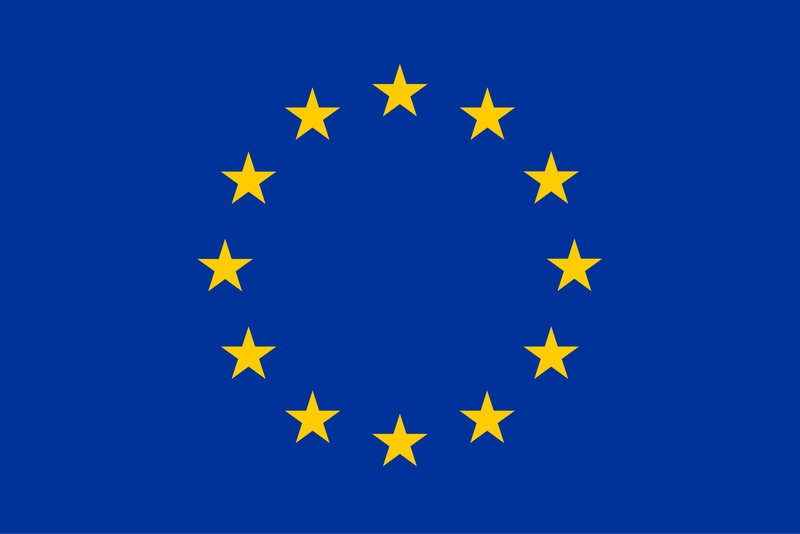 The Working Group on Integration consists of representatives of national institutions like the State Agency for Refugees, the Agency for Social Assistance, the Agency for Social Assistance, the Employment Agency; international organisations like UNHCR, IOM, the Red Cross; municipalities; NGOs actively working in the area of integration. Sofia Development Association has joined forces with many third country nationals, experts and academics to design posters that aim to change the attitudes and demonstrate that migrants are needed at the labour market in Sofia, that the tertiary education has more to offer, and that security and safety is not directly related to the number of migrants in the city. 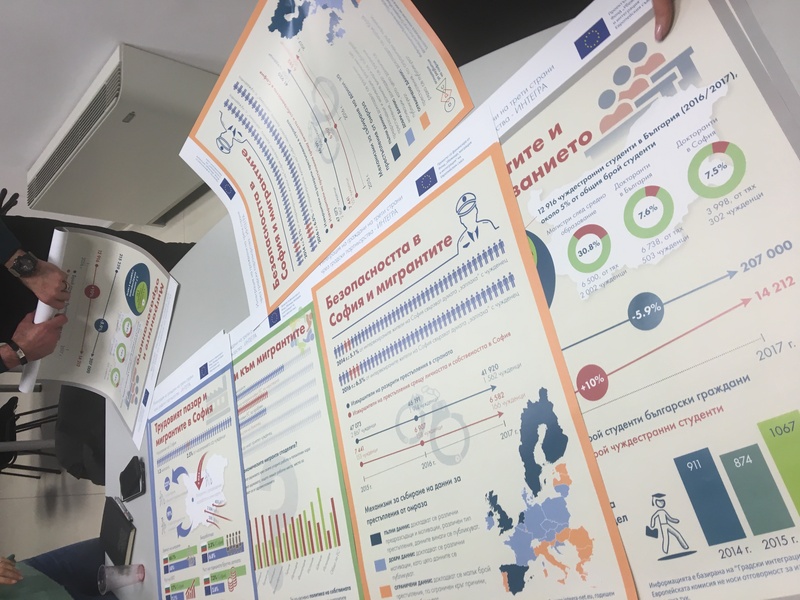 The posters will appear in reception and integration centres, institutional and NGO offices and events. IntegRAre! Colourful Life - Diverse Košice was the name of the public event organized by ETP Slovakia in cooperation with the Center of Social and Psychological Sciences of the Slovak Academy of Science. 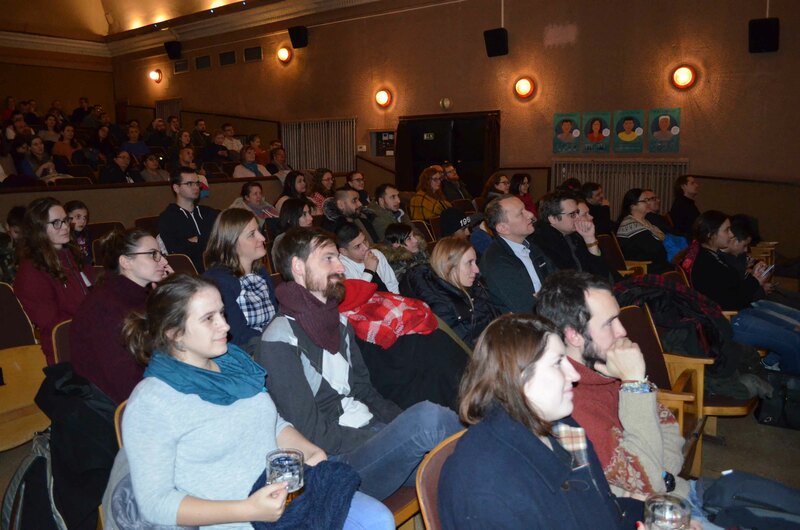 It was held on January 23, 2019 in the popular cinema Úsmev in Košice. 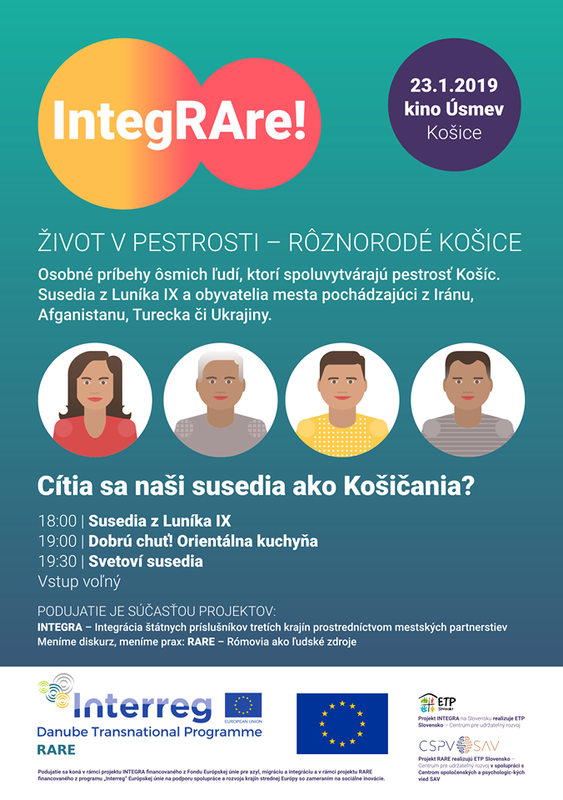 During a nearly three-hour event, hundred people in audience were involved in the personal stories of representatives of minorities who live in Košice and who create the variety of Košice. The speakers were residents of Luník IX and people, who moved to Košice from all over the world. They reflected the topic of co-existence, mutual acceptance and acquaintance. 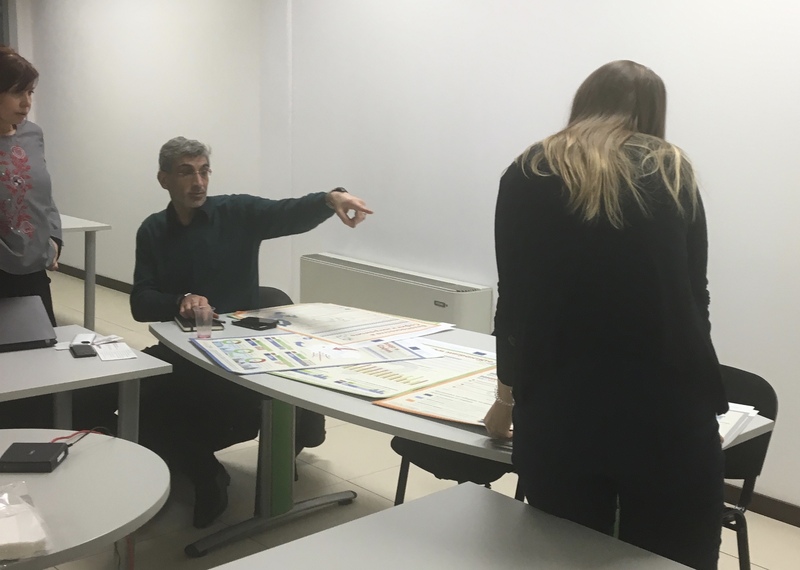 Most Košice inhabitants are aware of the history of multicultural Košice, but many do not know that in the streets, trams or shops they meet those who fled their own countries as refugees or came to Košice because of interesting study opportunities. While being aware of the Roma ghetto in Luník IX, most people of Košice do not have an idea about the dreams and aspirations of the young people living in this segregated place. 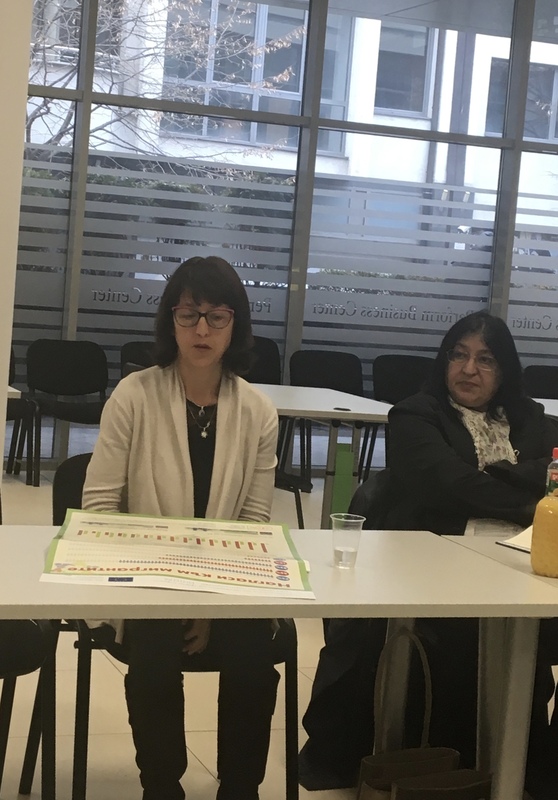 Personal stories, the experience and opinions of four skilled Roma and four foreigners from Iran, Afghanistan and Ukraine introduced the lives of minorities in our town. They talked about whether Roma/foreigners have the equal opportunities as others. They shared the feelings of a person before he feels accepted. Each of the speakers feels part of Košice, considers it as their home and each one through his work tries to make Košice a pleasant place to live. Not only for him, but for everyone. Individual presentations were followed by a discussion and the audience could ask questions. Many of them made room for reflection, other ones made everybody laugh. 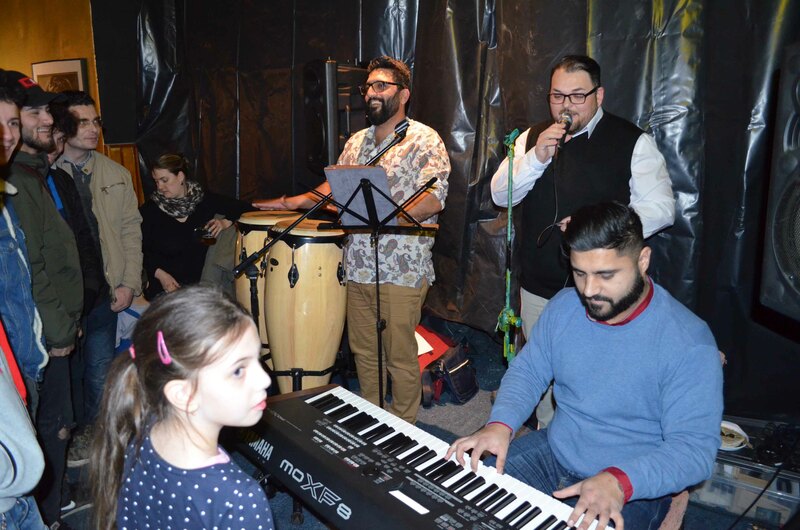 Very relaxed atmosphere complemented by Roma-Iranian music band Zoe and oriental cuisine helped bring together people from different worlds although living in one city.